This entry was posted in Birmingham City FC, Football and tagged Aston Villa, Birmingham City F.C., Bolton Wanderers, Bristol City FC, Che Adams, Family Zone, Football, Maikel Kieftenbeld on August 14, 2017 by Puddleglum. This entry was posted in Birmingham City FC, Football and tagged Aston Villa, Birmingham City F.C., Rhoys Wiggins on October 31, 2016 by Puddleglum. 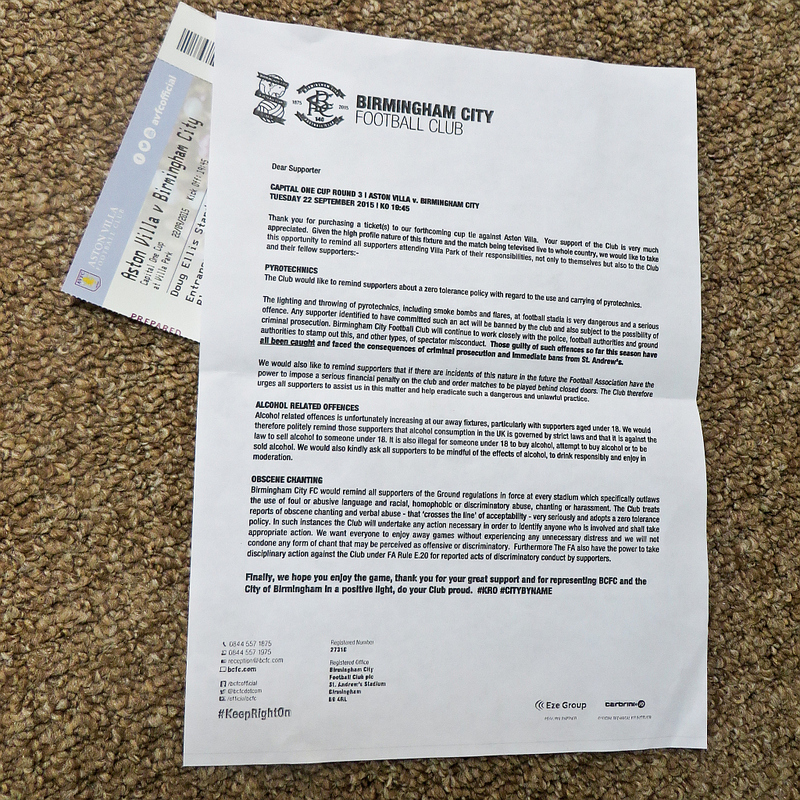 This entry was posted in Birmingham City FC, Football and tagged Aston Villa, Birmingham City F.C., Sky TV, WSC When Saturday Comes on October 29, 2016 by Puddleglum. This entry was posted in Birmingham City FC, Football and tagged Aston Villa, Birmingham City F.C., Burton Albion FC, Football on October 24, 2016 by Puddleglum. I’ve just watched the moving tributes that MPs paid to Jo Cox and feel so sad about her death. And earlier, a quote about the effect of social media on politics struck home: “It is not a big journey from saying horrible things to doing horrible things.” This could apply equally well to football and so I just want to reiterate what I’ve said before on this blog. I don’t hate Villa fans or the fans of any other clubs or countries. This entry was posted in Birmingham City FC, Football and tagged Aston Villa, Birmingham City F.C., Jo Cox on June 20, 2016 by Puddleglum. This entry was posted in Birmingham City FC, Football and tagged Aston Villa, Birmingham City F.C., Football, Gary Rowett on April 18, 2016 by Puddleglum. This entry was posted in Birmingham City FC, Football and tagged Aston Villa, Birmingham City F.C., Bolton Wanderers, Football on April 12, 2016 by Puddleglum. This entry was posted in Birmingham City FC, Football and tagged Aston Villa, Birmingham City F.C., Football, New Street Station on September 23, 2015 by Puddleglum. This entry was posted in Birmingham City FC, Football, Life in general and tagged Aston Villa, Birmingham City F.C., Birmingham Mail, Sky TV, Transfer fees on September 4, 2015 by Puddleglum.